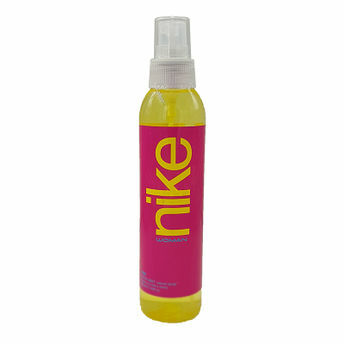 Nike Pink Body Mist for women is a sensual combination of floral fragrance that keeps you smell fresh and attractive all day long. With top notes of lychee, peony and freesia blended with heart notes of rosa, lily and magnolia and base notes of cedarwood, musk, amber. This aroma infused body mist will soften, hydrate and scent your skin, with a cooling and harmonious effect on the senses.